Two of the worlds best selling musical artists and greatest rock bands of all time are teaming up to co-headline a massive 58-city tour. Journey and Def Leppard are promising to deliver the classic rock tour of the year, so bring some old friends to AT&T park to enjoy the nighttime spectacular on September 21st! Live Nation is promoting the self-titled Journey and Def Leppard, where each artist will be closing half of the shows. As a native- San Francisco Band, this show will undoubtedly be a special one for Steve Perry and the rest of Journey. One of Journey’s mega-hits, “Lights”, is about his city by the bay, and will be a highlight when they perform it at AT&T park, which overlooks the San Francisco Bay. Journey has had eighteen top-40 singles, including “Don’t Stop Believing”, which has transcended generations. 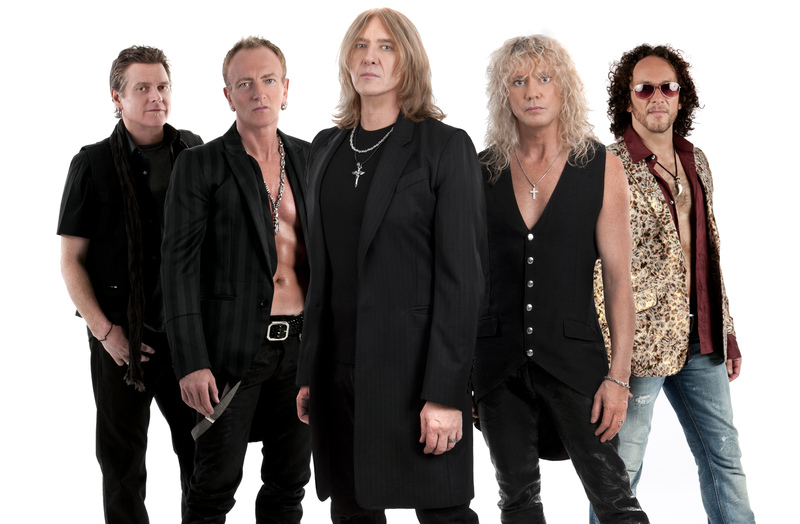 Def Leppard lives a little farther from the Bay Area— starting an english rock band, they achieved commercial success in the early 1980s for their album “High ’n’ Dry”. Success continued with songs, such as “Rock of Ages” or “Pour Some Sugar on Me” solidified Def Leppard as a household name. Journey and Def Leppard will be gearing up to play some of their greatest hits at one of the biggest outdoor venues in the Bay Area. Make sure you get your tickets below for this once in a lifetime show on September 21st!